Dennis Joseph Reese, 61, of Boonsboro, passed away in his home on Friday, February 1, 2019. Born July 31, 1957 in Hagerstown, he was the son of the late Jean Virginia Reese and Joseph Junior Reese. Dennis was a lifelong resident of Boonsboro. He was a graduate of Boonsboro High School, Class of 1975. He was a member of the Boonsboro High School Band where he was Drum Major. He was a member of several local baseball and basketball teams as a youth. 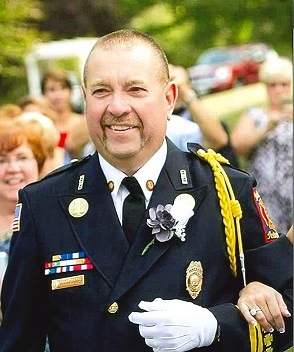 Retired from Fort Detrick Fire & Emergency Service after 32 years of federal service rising to the rank of Captain, Dennis also worked at the Bureau of Standard (NIST), worked at Lowes in Hagerstown, and was currently employed by MEM Contracting, Inc. He was a member of Sons of the American Legion Post 10, Red Men’s Lodge Tribe 84, McClellans Gun Club aka Red Hill, Life member of the First Hose Company of Boonsboro, where he held many offices, Charter member of the Boonsboro Ambulance & Rescue Services and served on the Boonsboro Shafer Park Board. Dennis was full of life and where Dennis was laughter was sure to follow. He loved his family and being a Pappy. He served his community proudly and was proud to be a firefighter. He enjoyed shooting at the McClellans Gun Club, camping and riding scooters. He enjoyed vacationing at Disney. He is survived by his wife, Melanie Reese; daughters, Katie Jo Pendergraft and husband, Jacob, of Stephenson, VA and Kellie Jo Flook and husband, Adam, of Falling Waters WV; granddaughter, Aubrie Jo Pendergraft; grandsons, Hudson Reese Pendergraft and Easton James Flook; sisters, Bonnie Miller and husband, Bob and Connie Reese of all of Boonsboro; and numerous nieces and nephews. He was preceded in death by his parents, grandparents and beloved dog, Buster. The family will receive friends from 2 to 4 p.m. and 5 to 8 p.m. on Tuesday, February 5, 2019 at Bast-Stauffer Funeral Home, 7606 Old National Pike in Boonsboro. A celebration of Dennis's life journey will take place at 11 a.m. Wednesday, February 6, 2019, at Bast-Stauffer Funeral Home in Boonsboro. Rev. Steven Sheldon will officiate. Final resting place ceremonies will be held at the Boonsboro Cemetery. 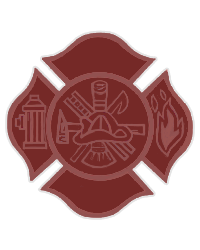 In lieu of flowers donations may be made to the First Hose Company of Boonsboro and the Boonsboro Ambulance and Rescue Company or the charity of your choice.